kitty-kate85: How will the Kurt/Blaine dynamic change as a result of this week's upcoming episode? We asked Chris Colfer that very same question, and here's what he had to say: "I think they are more in love than ever before, and I think they're both glad they had that experience with each other." But Colfer also revealed that the Sebastian sitch is far from over, and he's actually happy to see some tension between Kurt and Blaine (Darren Criss). "I was really excited when the whole Sebastian thing came along because I was so excited to have a storyline with a little drama between the two!" Who doesn't love high school drama? 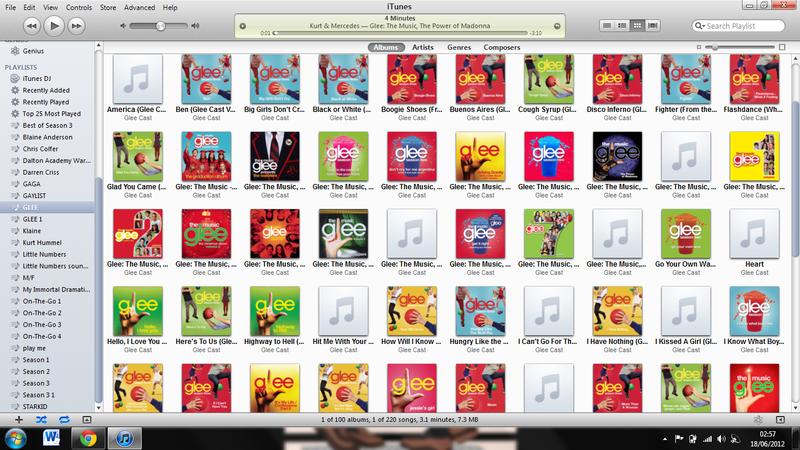 Keep it comin', Glee! Shahnaz17: anything to do with Rachel Berry. please. I don't ask for much. Didn't you just ask us for 20 bucks—was that you? We're on to you. Anyway, just know that Rachel (Lea Michele) is breathtaking as Maria in West Side Story on this week's Glee, and the support she gives her boyfriend Finn (Cory Monteith) is really endearing. Bergenfluff: Did you like the Kurt/Karofsky scene? And will there be more Karofsky soon? Not only did we like Karofsky (Max Adler) popping up in this week's episode, but Colfer told us that Kurt and his former bully having a chat was one of his favorite scenes in "The First Time." As for your second question, that will be revealed in part two of our interview with Chris, so check back tomorrow! Here's part one if you missed it. Saviegleek: On a degree of 1 to Youtube kitten, how cute is Klaine's First Time? It's as cute as this. munoz_laura: Are we going to meet any of Santana's relatives on Glee soon?? Thanks! Yep! We'll get to meet her grandmother in an upcoming episode. Oh, and we also saw they're casting "Pickles the Clown." Yo, Eric Stonestreet, line up, buddy! You're already in cahoots with Ryan Murphy (this week's American Horror Story) and no one can clown it up better.